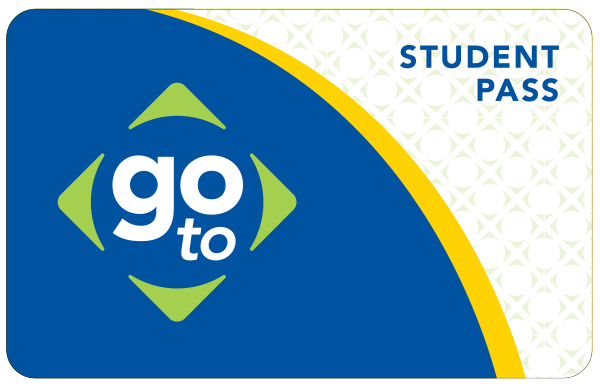 The Go-To Student pass program at Minneapolis Public Schools is available to transportation eligible senior high students at Edison, FAIR, Henry, North, Roosevelt, South, Southwest, Washburn, and Wellstone. Students who are inside the walk-zone of their school may also qualify for the pass if they qualify for Free/Reduced lunch. For students who are not eligible, the pass can be purchased at a reduced rate directly from the school they attend. We have tools to help make planning your trip to school easy! Click on your school below, then simply enter your starting point on our interactive Trip Planner. For help by phone, call 612-373-3333. Our trip planning experts are standing by from 6:30 a.m. to 9 p.m. on weekdays and 8 a.m. to 5 p.m. on weekends and holidays. Interpretation services for dozens of languages are available over the phone by request. What is a Go-To Student Pass? > A Go-To Student Pass is a durable, plastic card that allows unlimited rides on city buses and light rail to and from school instead of riding traditional yellow school buses. > Passes can be used after school hours for other student activities. Students may also use their passes for extracurricular activities before and after school hours. > It offers students academic scheduling flexibility and access to a variety of learning opportunities in the community. > Students will have more opportunities to remain at school for academic programs, sports and other activities beyond the regular school day. > Passes are integrated with students’ school identification cards. > Personal language-specific service is provided by Check and Connect staff. > The program supports improved student attendance and retention. > Go-To Student Passes allow students to ride buses or trains from 5 a.m. until 10 p.m. seven days a week. > All transportation eligible senior high students at Edison, FAIR, Henry, North, Roosevelt, South, Southwest, Washburn, and Wellstone. > Students who live within the school's attendance zone or are enrolled in a city-wide program and outside the school walk zone. All North, Henry, Edison and Roosevelt students qualify for city-wide transportation as long as they live outside the school walk zone. > Students who qualify for free/reduced lunch and are inside their schools walk zone. > Students who attend a high school outside of their attendance zone and are not enrolled in a city-wide program will not be eligible for a Go-To Student Pass. > Students who agree to follow the Minneapolis Public Schools Go-To Student Pass Code of Conduct.